Before reading this article we’d invite you to check out the approx. 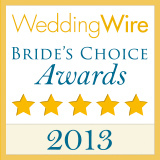 70 reviews we’ve received on Wedding Wire – a nationally recognized wedding information clearinghouse. 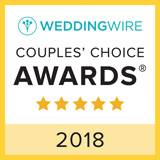 Read those reviews here and then come back and find out why we think you should give serious consideration to hiring a local wedding planning company like us for your north Georgia wedding. If you’re a couple who loves the outdoors, there’s no more romantic setting for your destination wedding than a wedding venue in Blue Ridge, Blairsville, Hiawassee, Helen, Dahlonega, Cleveland or other surrounding north Georgia mountain locales as well as those in and around Murphy, North Carolina. With the misty-blue mountains as your backdrop and abundant seasonal colors for your palette, it’s scenery just made for a gorgeous outdoor wedding. Our beautiful North Georgia wedding venues offer an incredible variety of pre- and post-wedding activities for nature lovers, so one thing’s certain — you’ll want a local wedding planner to free you from all the worries and ensure that your wedding is truly enjoyable, as well as memorable. Unique Events has the experience and the connections to make your special day perfect. If you’re planning a destination wedding, you’ve usually got a choice to make. You can find an expert wedding planner in your hometown and cross your fingers that they’ll be able to handle all your arrangements from a distance or you can choose an experience wedding planner based at your destination, and hope their expertise is up to your standards. 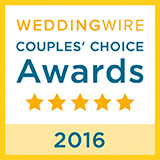 But for lucky brides planning weddings in Blue Ridge, Georgia and the surrounding area, there’s some great news! Unique Events brings you the best of both worlds, with an intimate knowledge of the area, great relationships with local vendors and loads of experience planning weddings, from the most casual to the most elegant. For over 10 years, Andrea Boykin and Unique Events have helped plan weddings in the Georgia mountains and thus have a Rolodex filled with the best and most professional local contacts for flowers, hair and makeup, food, music, photography and other vital components of the perfect wedding. Wondering where to host your rehearsal dinner? In all likelihood they probably are aware of some of the best spots for your pre-wedding events. Need accommodations for your guests? 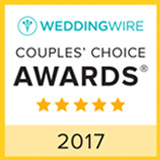 A local wedding planning company like Unique Events has relationships with all the best places to stay — and Andrea can probably get you accommodations at a great rate, too. Because Unique Events has had frequent dealings with many North Georgia wedding venues, we can help you find exactly the right spot on the right date. And once again, you’ll benefit greatly from the business relationships that we’ve been developing for the last 10+ years. Local event planning company, Unique Events, has tons of experience dealing with all the little details and big concerns of a wedding — so let us take care of them! We’ll make sure the correct wedding rental equipment is ordered and delivered on time, ensure that entertainment and photographers arrive in plenty of time to set up and prepare for your event, and even put together an itinerary for guests who arrive a few days early. Again, because we are very familiar with the north Georgia mountain area, we can very easily make suggestions and recommendations of things to see and do for you and your guests including places to eat, golf courses worthy of playing, art galleries and wineries to visit and so much more. Undoubtedly you’ll want to visit this lovely area once or twice before your wedding. Honestly, it’s one of the perks of North Georgia weddings! 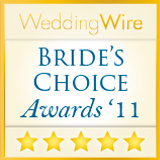 Schedule a complimentary one hour wedding consultation and spend some time getting to know us. While we won’t need a tremendous amount of detail during this meeting, we will want to get a clear understanding of your personal style. After that first visit, you’re free to communicate in person or by phone, Skype and email. It is not uncommon at all for us to arrange tours of possible wedding venue. Although you’ll probably want to make at least one more trip for food and cake tastings, you’re really free to do as you like. Trust Unique Events to attend to as many details as possible. And by all means, call Unique Events, your wedding planner in north Georgia, whenever you have questions or concerns. It’s our job to make sure your wedding is a seamless, flawless experience for you from start to finish. We wish you the wedding you’ve always dreamed of — and we hope to see you here in the beautiful mountains of North Georgia! You’re very likely to save a lot of money by utilizing a local wedding planning company. How is that? Should you contract with a wedding planner in your hometown, you’re very likely to have to pay for their time and travel expenses each time you need them with you at the destination wedding locale of your choosing and that could get awfully expensive. Aside from the financial aspect, contracting with a local wedding planner will provide you access and advantage where you least expect. Such was the case for one event where the ceremony location became inundated with rain which would have prohibited guests access to their seating. Because the bride contracted with Unique Events we were able to leverage our local contacts and spur of the moment hire a landscape materials company to come and remedy the situation. You just never know what may arise in situations such as this and this was one instance where ‘it’s who you know’ that counts paid off. We’d invite you to check out FAQ page here where you’ll find a rather exhaustive list of answers to commonly asked questions.